Enjoy a delightful summer break with a distinctive Dutch flavour. We continue to the beautiful town of Delft which is criss-crossed with beautiful canals and home of the Royal Delft Porcelain Factory. We visit the lovely old medieval town of Utrecht with its 14th-century bell and Gothic Cathedral and spend some free time here. We visit Arnhem near the border with Germany and which played a pivotal role during the final days of the Second World War, before continuing to the Arnhem Airborne Museum. We head north to Hoorn and board the famous tram for a journey which travels through the lovely Dutch countryside to Medemblik. Finally, we make our way to the Hague, home to the Dutch Royal Family, and a beautiful city behind the dunes, with a rich history and Royal heritage, before returning from here continue to Rotterdam to board your return overnight sailing back to Hull. Dinner is included on board. We travel to Hull to board our overnight ferry to Rotterdam. Dinner is included on board. 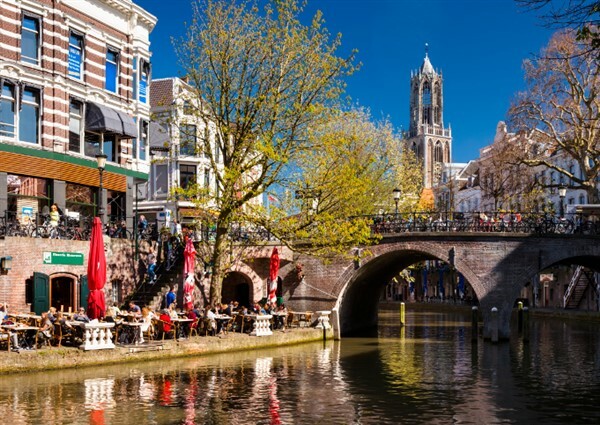 After your included breakfast on board disembark and make your way to the beautiful town of Delft which is criss-crossed with beautiful canals and home of the Royal Delft Porcelain Factory where you could visit and have a guided tour to see how this stunning porcelain is made. Continue onto the lovely old medieval town of Utrecht with its 14th-century bell and Gothic Cathedral, after free time here continue the short distance to your hotel the Kontakt der Kontinenten where you will be staying for the next 3 nights. Visit to Arnhem near the border with Germany and which played a pivotal role during the final days of the Second World War. To find out more about the scale of devastation caused by the German bombing and the events that inspired the film "A Bridge too far" first visit the Arnhem War Cemetery in Oosterbeek, before continuing to the Arnhem Airborne Museum. Head north to Hoorn and board the famous tram (included in your tour price) for a journey which travels through the lovely Dutch countryside to Medemblik. During the journey you could include coffee and a local pastry on board. 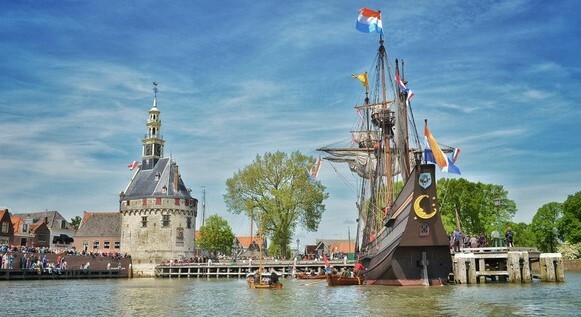 On arrival you have free time to explore Medemblik with its beautiful historical centre before boarding the museum ship Friesland for a cruise to Enkhuizen (included in your tour price). From here make your way home across the Houtribdijk - a 27km dike, built between 1963 and 1975, it crosses what used to be the Zuider See and is now the Ijsselmeer, the largest inland lake in Western Europe. Look out for the radio station half way, before joining a polder "Flevoland" which is reclaimed land from the former sea. From here make your way back onto the mainland and back to the hotel.